The POWERplus Koala combines functional ultra bright light with warm and cozy realistic flame light. Open the Koala and you see ultra bright white LED light, so you can read a book, creating light in the dark. Close and open the Koala again to activate the cozy moving LEDs: looks like a real flame. 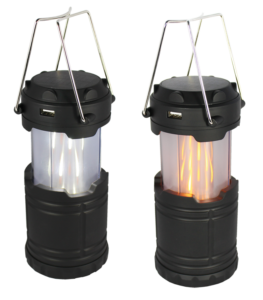 Practical and cozy light in one compact lightweight product! The Koala also has an integrated powerbank (USB 5V/1A), so you can charge your mobile products as well. Dual power: powered by the integrated (replaceable) rechargeable Li-Ion 18650 battery (2.600 mAh) or 3*AA alkaline batteries (alkaline batteries are not included).